Innvik is situated in the middle of everything that can be enjoyed during a great vacation in Norway. Innvik – Sandane – ferry Anda-Lote - The Panorama Road (Panoramavegen) – Stryn – Lake Loen – Lodalen/Oldedalen – Innvik. Innvik – Stryn – Nordfjordeid – Maurstad – Åheim – Leikanger – Selje – Selje Cloister – Almenning – Nordfjordeid – ferry Lote-Anda – Sandane – Innvik. 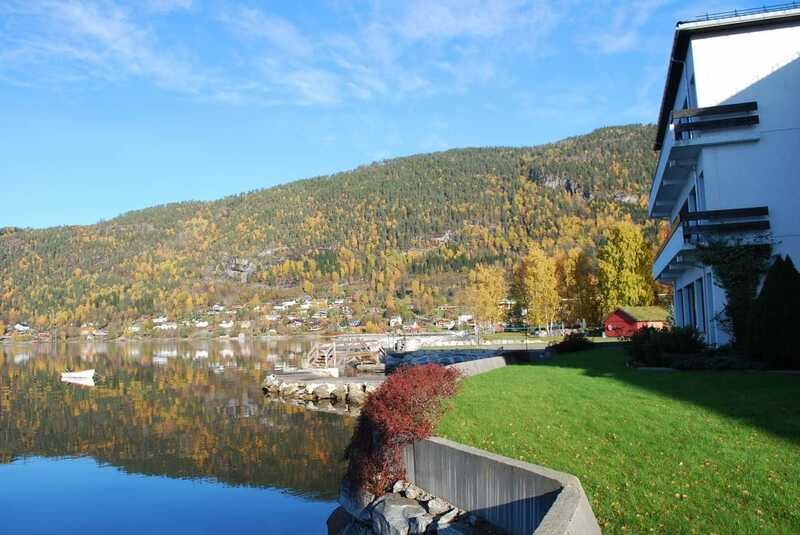 Innvik – Olden – Oldevatnet (optionally by boat) – Briksdalen – Singerheimen – Innvik. Innvik – Stryn - Hornindal – ferry Stranda-Liabygda – Sjøholt – Ørskogfjellet – Tresfjord – Åndalsnes – Trollstigen – Valldal – ferry Linge-Eidsdal – Ørnesvingen – Geiranger – Strynefjellet – Innvik. ​On some of these excursions you’ll have to cross the fjords by ferry, in other places you might care to spend a few kroner on an entrance fee or an extra meal. Please contact us in advance if you’d like to know more about these extra costs. You may of course do these round trips on your own, but we advise groups to book a local guide for a day’s excursion or three while in Innvik. ”The Norwegian scenery speaks for itself, but some times an additional explanation comes in handy”, says our guide company. Ask us about prices, rates and fares.